As soon as weather forecasts started predicting extreme weather for March 13, our teams in Energy Markets began anticipating potential impacts and making adjustments. We are the team tasked with ensuring sufficient power supply to meet our members’ needs, and knowing the storm could impact the availability of our transmission and generation resources, we took immediate steps to prepare. We made sure we had natural gas ready to fuel the generating stations we could quickly bring on-line as needed. Throughout the course of the storm, numerous generation resources were impacted. By 8 a.m., Tri-State had lost nearly half its wind resource capability due to a combination of high wind speed (as wind speeds exceed about 50-60 mph, depending on the specific site, wind turbines shut down to protect from damage) and icing conditions on the blades (which reduce the aerodynamic performance or can cause the turbine to shut down). The weather impacted our four wind resources spread from northeast to southeast Colorado. 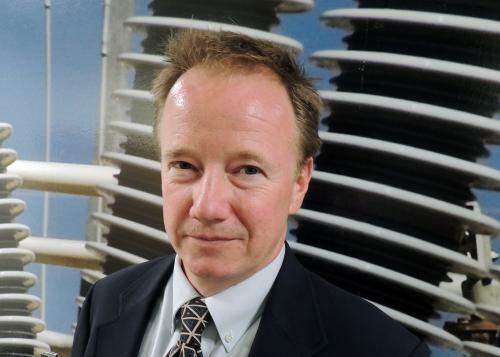 By 4 p.m., Tri-State had lost more than 90 percent of its wind resource capability. The associated cloud-cover also reduced our solar resource capability for the day by around 50 percent. In addition, several other Tri-State resources were impacted due to transmission line outages. A major line outage between Colorado and Wyoming forced the curtailment of the Laramie River Station. Multiple line outages in Southeast Colorado caused the Limon Station to be unavailable and further curtailed several wind resources. Most of these outages were resolved on March 14, but some were still active and causing generation resource curtailments until March 23. The storm highlighted the value of the regional reserve sharing group we’re a member of, the Rocky Mountain Reserve Sharing Group (other members include Xcel Energy, Colorado Springs Utilities, Black Hills Energy, Basin Electric, the Western Area Power Administration, Wyoming Municipal Power Agency, and Municipal Energy Agency of Nebraska). Real-time situational awareness is of utmost importance during extreme weather conditions. Resource Dispatch and Trading (one of the Energy Market teams) is responsible for the real-time response to what can be rapidly changing conditions and contingencies. As generation and transmission outages occurred, the real-time team re-dispatched our resources in response. We also used the Generation Alert email blast to notify all Tri-State-operated plants that system conditions were deteriorating. The first Generation Alert sent was Level 2, notifying the plants that system conditions were serious and work activities were restricted to maintenance that would not jeopardize unit loading. The second Generation Alert was upgraded to Level 3, notifying the plants that system conditions were critical and all work activities must cease that had a remote chance of causing a plant to trip offline. The Generation Alert was downgraded on March 14 and totally lifted by 7:30 p.m. that day. The diversity of our generation resources—their location, technology and fuel source—allowed us to respond and make adjustments as the storm made its impact. 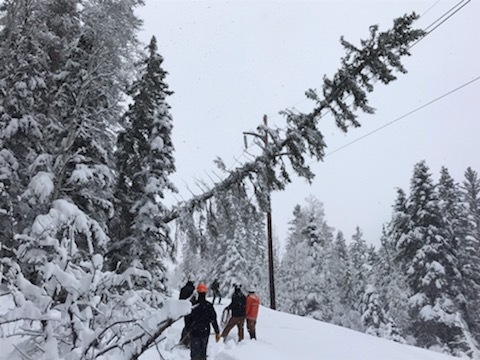 That strength, bolstered by the resiliency of the transmission system, helped us limit the impact of this event on our delivery of power to our members. Keeping the lights on is our mantra. Our teams are trained and tested and know how to make the quick decisions necessary to keep power flowing even during the most extreme of circumstances. Stay tuned in to tour blog to hear about the work of our Transmission teams to respond to the storm.